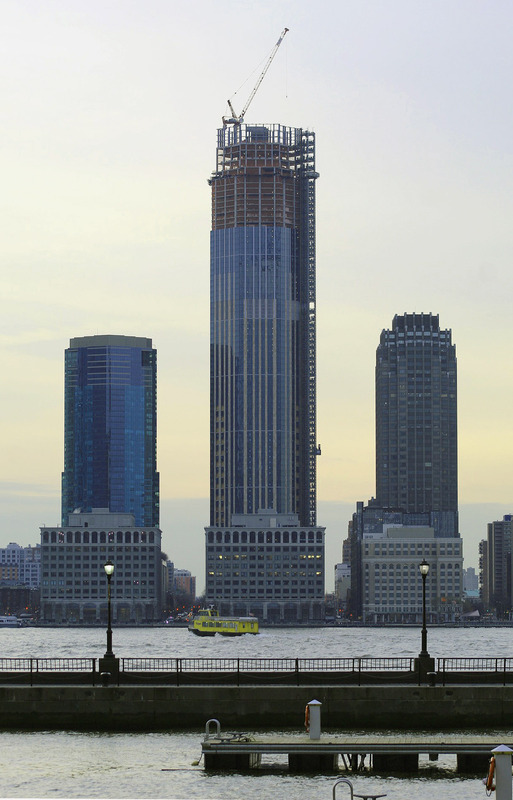 After topping-out at the end of 2018, 99 Hudson Street has become the tallest skyscraper in both Jersey City and all of New Jersey, standing 900 feet to its rooftop. 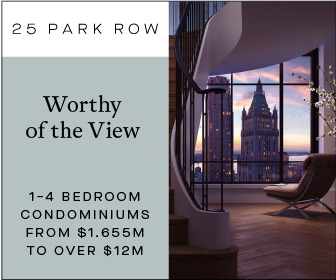 The 79-story residential building will have 781 units with perfect uninterrupted views of the World Trade Center, the morning sun, and afternoon sunsets to the west. 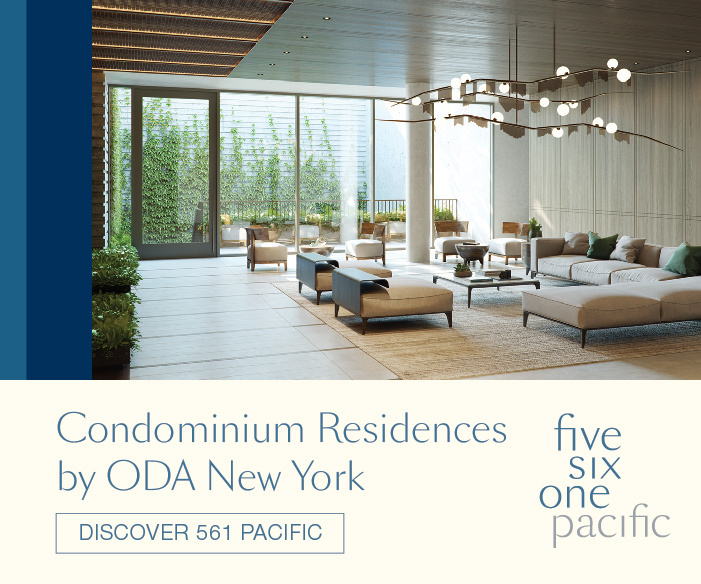 Perkins Eastman is the designer of the tower, while the developer is China Overseas America. 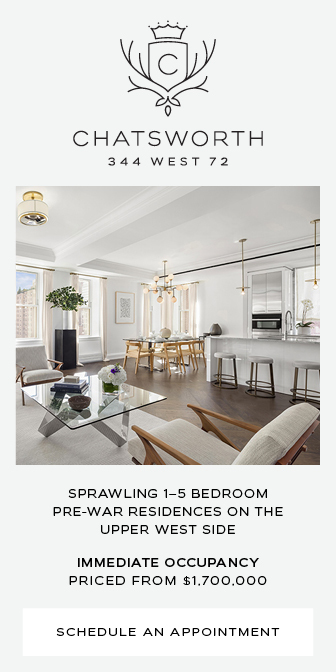 Plaza Construction is the main contractor, while DeSimone Consulting Engineers is the structural engineer. Vidaris is in charge of the facade, which is now quickly making its way towards the crown. The presence of the tower over Jersey City is impressive when looking from the outdoor plaza at Brookfield Place. 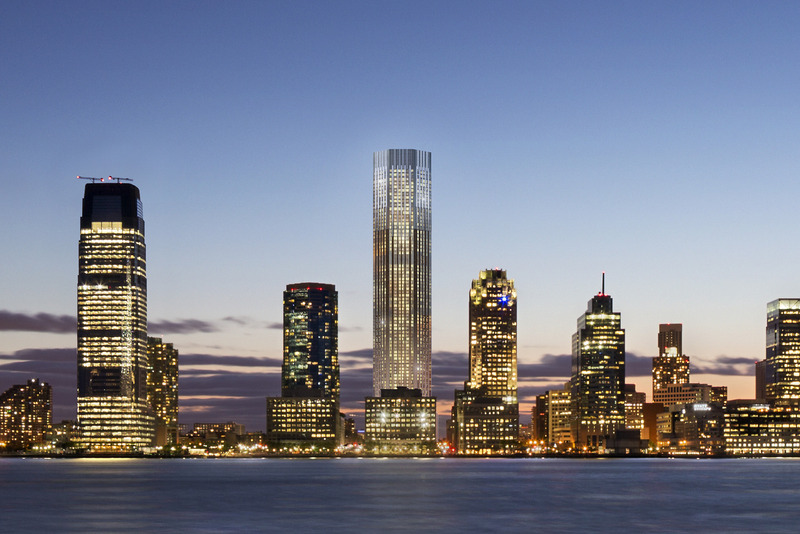 The street grid of Jersey City aligns with the shoreline of Battery Park City, and the tower evenly spaces itself to visually stand as a single monolith of reflective glass and warm-colored Jura limestone. 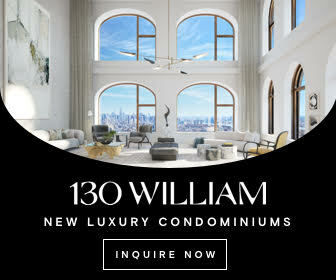 The top of the building consists of the penthouses that have yet to announce their price range, but each will come with an outdoor terrace. One faces west towards Manhattan and Midtown, while the second faces south towards Governors Island, the Verrazano Narrows Bridge, and the confluence of the Hudson and East Rivers. 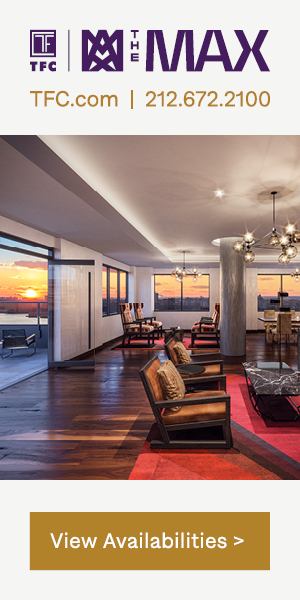 The mechanical floors where the glass crown is located sit above the penthouses. Large, square-shaped metal beams surround the perimeter, and are placed piece by piece to form a flat top. 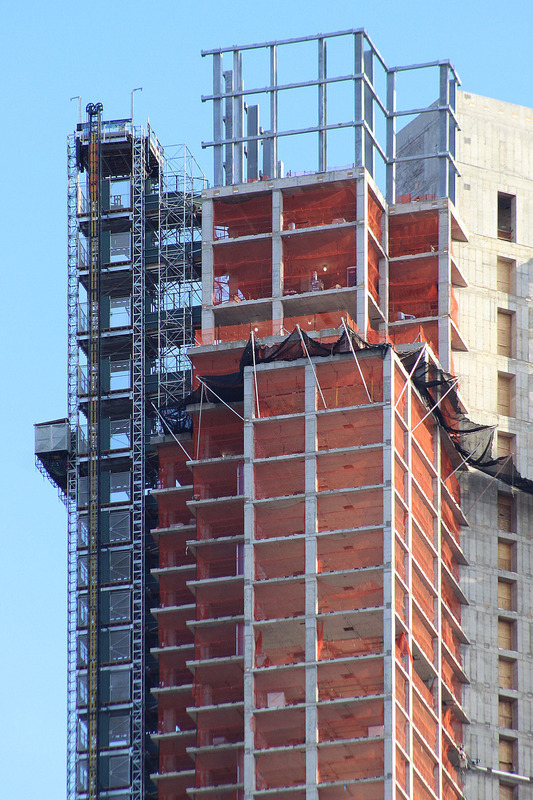 The glass will hang on the outside, much like the top of 3 World Trade Center and its semi-translucent exterior. 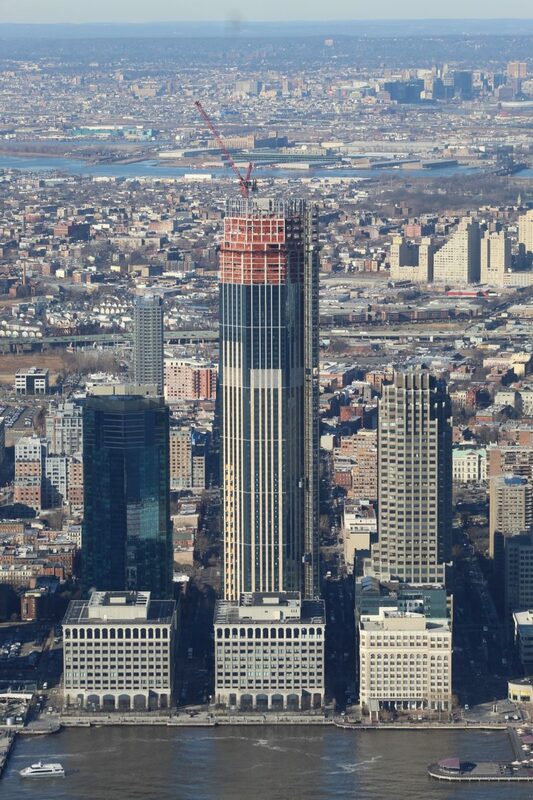 The core of 99 Hudson extends up the western elevation and above the roof parapet, but will eventually be disguised by the glass crown. The renderings for the building show it illuminated at nighttime. 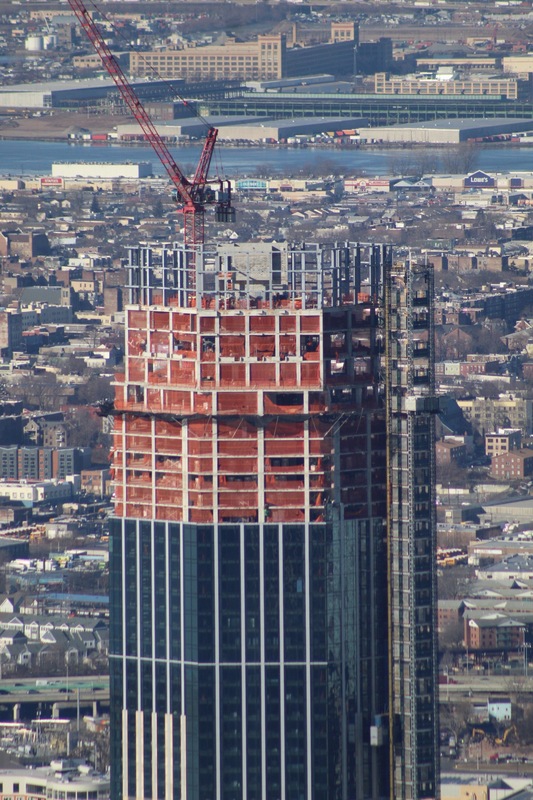 99 Hudson Street will be completed this year, presumably in the second half of 2019. 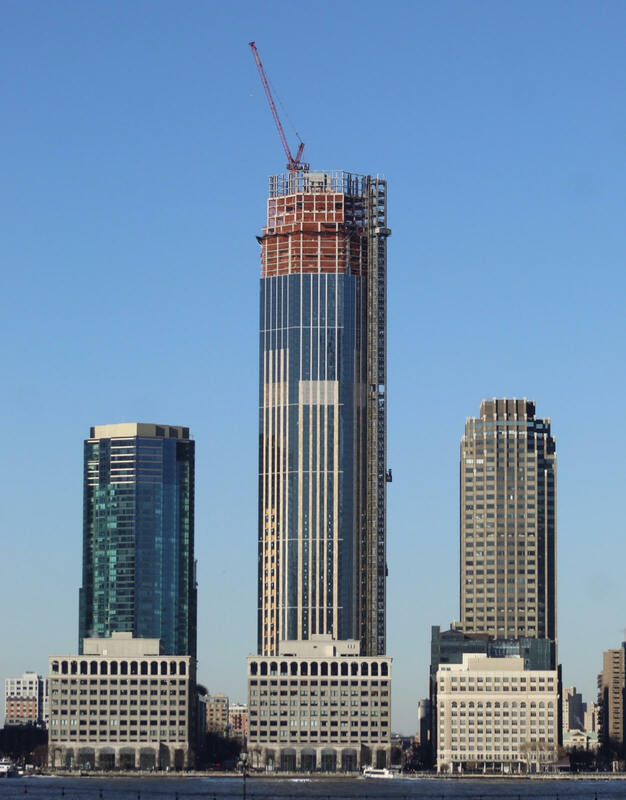 4 Comments on "Crown Installation for New Jersey’s New Tallest Building Underway at 99 Hudson Street, in Jersey City"
What a drain on the public. Shuffle in people with tax abatements. Tax revenue should be proportionate with development and population increases. Instead we see an inverse relationship. We will be like Argentina in 15 years time. Its simple math people. You are getting robbed. But oh those shiny windows! Facade is designed, manufactured, delivered and installed 100% by Gamma USA not Vidaris.